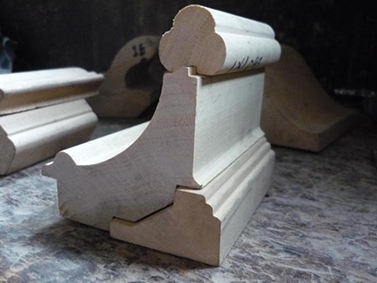 Custom Wood Mouldings & Wholesale Unfinished Mouldings Family values paired with expert quality. Since 1922. With over 200 stock profiles available, the possibilities are endless. Discover what you can create. See the profiles in our moulding catalogue. Be innovative! We can produce your very own, custom profiles. We can make your custom patterns in minimum quantities of 200 linear feet or more with no additional set-up fees. Stretcher bars are used by artists and framers to construct a wooden frame for the purpose of mounting canvases. In business since 1922, Foster Planing Mill has become known for our high quality products with dependable standards. We are true craftsmen who take pride in our product. 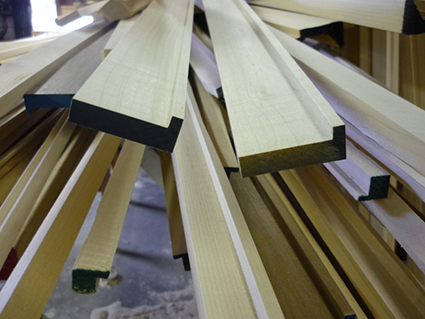 At Foster, almost all of the lumber we use in our mouldings comes from domestic U.S. forests! Foster Planing Mill specializes in milling custom mouldings, as well as stock mouldings with all types of unfinished wood such as: bass, maple, ash, oak, european beech, cherry, sapele (mahogany alternative), walnut, padauk, & purpleheart. We have a tremendous following of loyal customers across the country who enjoy the warm-hearted feel of a family owned business, paired with expert quality and precision. Our standards are high and our customers appreciate not having to pay a fortune for the type of quality we produce. Stay up to date with the latest trends in custom and stock moulding, check in on our facilities, or become a part of the conversation. "Having a no minimum order really helps me out. I really appreciate it." "It gives me the best value for my dollar." "It’s consistent. I can always rely on the same moulding looking the same." "They are the leading rollwood manufacturer for what we do"
"Foster is our primary source"
"Bob sends me wood that’s straight as an arrow."